Why is HDL functionally deficient in type 2 diabetes? High-lipoprotein (HDL) particles exert a spectrum of atheroprotective activities that can be deficient in type 2 diabetes. Key mechanisms leading to the formation of functionally deficient HDL involve 1) HDL enrichment in triglycerides and depletion in cholesteryl esters with conformational alterations of apolipoprotein A-I; 2) glycation of apolipoproteins and/or HDL-associated enzymes; and 3) oxidative modification of HDL lipids, apolipoproteins, and/or enzymes. 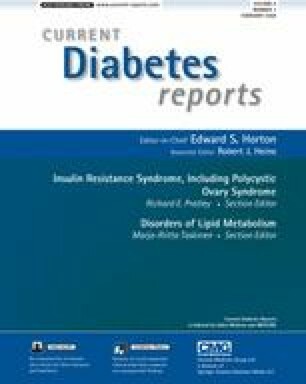 Available data identify hypertriglyceridemia, with concomitant compositional modification of the HDL lipid core and conformational change of apolipoprotein A-I, as a driving force in functional alteration of HDL particles in type 2 diabetes. Therapeutic options for correcting HDL functional deficiency should target hypertriglyceridemia by normalizing circulating levels of triglyceride-rich lipoproteins.